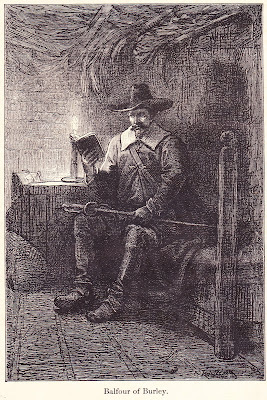 This illustration, which perhaps could serve as a companion piece to the Dark and Stormy Night Girl, features a man -- Balfour of Burley -- reading a book by candlelight and not looking the least bit comfortable. Maybe Balfour would enjoy his book a bit more if he removed his broad hat, satchel and boots. And put down the sword. He clearly needs to lighten up. Perhaps the reason for his inability to relax is that he is a character in Sir Walter Scott's 1816 novel "Old Mortality." In the book, which is historical fiction, a man named Henry Morton gives shelter to John Balfour of Burley, who has helped to assassinate Archbishop James Sharp (a real-life figure). Morton ends up joining Balfour of Burley in the Covenanters, a Scottish Presbyterian movement. 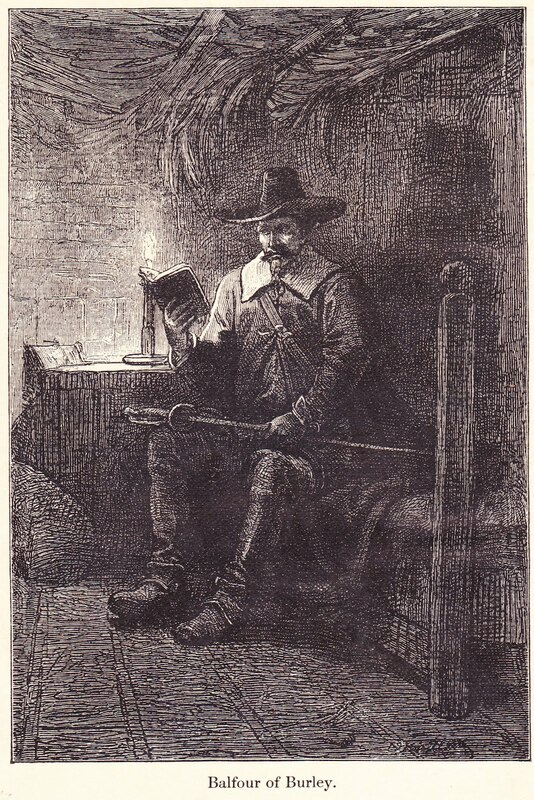 The 17th century was a dangerous and violent time for the Covenanters and their uprising, which is probably why this man looks so uptight, after all.